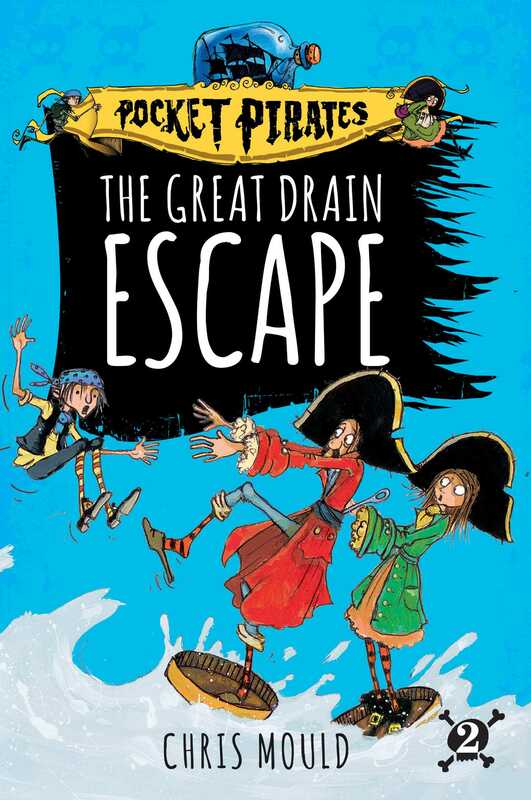 A band of tiny squash-bucklers go on adventures of epic proportions in this second book in a brand-new chapter book series about pocket-sized pirates! In the junk shop at the end of the street is a dusty old ship in a bottle. And when the world isn’t watching, a tiny pirate crew comes out of the ship to explore. They aren’t much bigger than a matchstick, but they have a HUGE appetite for adventure! When the junk-shop dog moves in underneath the Pocket Pirates’ shelf, their route to the kitchen is blocked! The noise of rumbling stomachs is keeping everyone awake, and their last few stale breadcrumbs won’t keep them going long. Do they dare to go…OUTSIDE? Chris Mould was born in Bradford, England, and has lived and worked there all his life. He began drawing at a very early age and hasn’t stopped since. He trained in art college for six years altogether starting in Dewsbury College and moving to Leeds, during which time he gained a joint honours degree in graphic design and illustration.